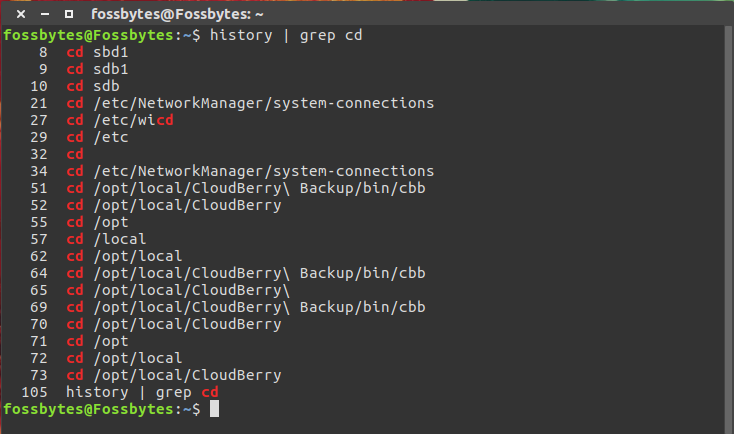 Short Bytes: Using the history command in bash shell, you can get a list of all the commands that you’ve run previously on your machine. Going one step further, you can even list the most used commands in terminal. For doing this, the records from .bash_history file is used. 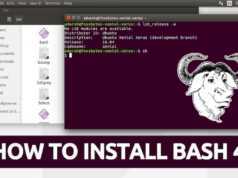 If you mainly use Linux for work and other purposes, there is no escape and you’re bound to spend a lot of time on the bash, which is the default command line on many Linux distributions. This also goes without saying that you must be using a lot of commands again and again, and that could be an issue for some people. 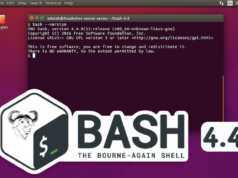 To deal with this, bash shell comes with some useful functions that can help you access old commands with ease. For those who don’t know, the history file is updated every time you exit a terminal session. In this article, I’ll tell you how to make a list of the most used commands in terminal and some other useful bash shell tips. Before moving ahead, we would like you to take a look at our list of A to Z Linux commands. Listing command history in bash is a very basic command, and you must be familiar with it. The simple history command lists the last certain number of commands. There are many ways to do so but using grep is my favorite method. Simply run the following command to search the needed commands in the history list. 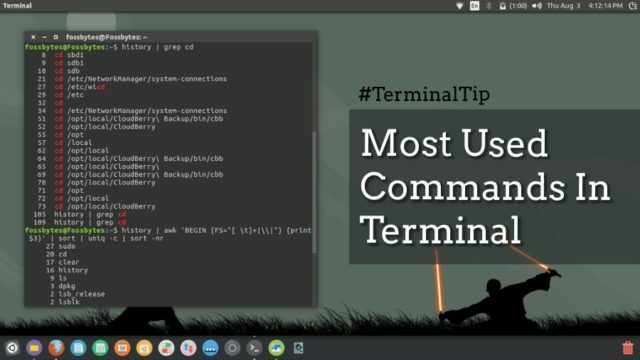 How to make a list of the most used commands in terminal? Some of you might not find this tip particularly useful but it’s always a good idea to review your work and get to know about the commands you use the most. As I’m preparing this tutorial on a fresh installation of Ubuntu, you won’t be seeing tons of commands in my list. I hope that you would have found this bash history tip to list most useful commands in terminal useful. What are your favorite commands? Tell us in comments below.